Many inclusions and blemishes are too tiny to be seen by anyone, other than a trained diamond grader. 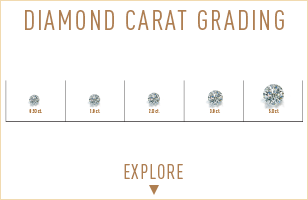 A VS1 and SI2 diamonds may look exactly the same, but they can be quite different in terms of overall quality. This is why expert and accurate assessment of diamond clarity is extremely important. The information from this page has mostly been pulled from the coursework that I did while studying. I have found that many websites only describe the 6 main groups and gloss over the 11 different grades for clarity. I feel it is important to describe ALL 11 grades clearly as it makes a difference in price. Natural diamonds are the result of carbon exposed to tremendous heat and pressure deep in the earth. This process can result in a variety of internal characteristics called inclusions and external characteristics called blemishes or "birthmarks". Evaluating diamond clarity involves determining the number, size, relief, nature, and position of these characteristics, as well as how these affect the overall appearance of the diamond. While no diamond is perfectly pure, the closer it comes, the higher its value. Inclusions in the diamond sometimes make for "true masterpieces". Some diamond inclusions can be works of art on their own and additionally increase the price of the Diamond! How was the Clarity grading System developed? What Causes Inclusions In The Diamond To Form? Small crystals can become trapped in a diamond when it’s forming. Sometimes as a crystal grows it can develop irregularities in its atomic structure. Diamond inclusions are among the important factors influencing the appearance and consequently the pricing of a diamond! Nobody wants to have a diamond with visible imperfections. Furthermore, nobody would like to have a diamond with inclusions that pose a durability risk! 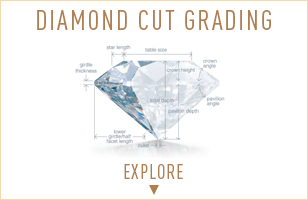 Evaluating diamond clarity involves determining the number, size, relief, nature, and position of these characteristics, as well as how these affect the overall appearance of the diamond. While no diamond is perfectly pure, the closer it comes, the higher its value. Diamonds without these birthmarks are rare, and rarity affects a diamond’s value. Using the GIA International Diamond Grading System™, diamonds are assigned a clarity grade that ranges from flawless (FL) to diamonds with obvious inclusions (I3). Every diamond is absolutely unique and none is absolutely perfect under 10× magnification though some come close. Known as Flawless diamonds, these are exceptionally rare. Most jewelers have never even seen one. Flawless diamonds show essentially no inclusions or blemishes of any kind when examined under 10X magnification by a skilled grader. Extra Facets on the pavilion, not visible on the face up view. naturals entirely confined to the width of the girdle as long as they do not thicken the girdle or distort its outline. Internal graining that is not reflective, white, or colored, and that does not significantly alter transparency. Laser inscriptions confined to the girdle and not visible face-up. An Internally Flawless diamond shows only blemishes - No inclusions - when examined under 10X magnification by a skilled grader. Under 10X magnification, a VVS1 diamond might show a minute pinpoint or two. Charactoristics like reflective internal graining, a bearded girdle, minor bruises, or tiny chips could set the grade at either VVS1 or VVS2 depending on how visible they are. These inclusions are so minute and difficult to spot that VVS diamonds are sometimes unintentionally misrepresented as flawless or IF, simply because a grader did not find them. In very rare cases, a VS diamond might actually contain an eye-visible inclusion. You have to consider the size, nature, position, number, ans color or reief of the inclusion in relation to the size and shape of the diamond. For example, an emerald cut that's more than one carat in size can have an eye-visible included crystal under the corner of the table and still be in the VS range. Si diamonds contain noticeable inclusions that are easy (SI1) or very easy (SI2) for a trained grader to see under 10X magnification. Typical inclusions are included crystals, clouds, and feathers These inclusions are usually centrally located. As is the case with VS range, a diamond with an eye-visible inclusion can be graded SI, but in general the characoristics in an SI1 diamond are not visible face-up without magnification. You will see eye-visible inclusions in an SI2 diamond. The inclusions in I1 diamonds are usually quite visible to the unaided eye. In I2 they are easily visible. In I3, they are extremely easy to see might affect the stones durability. Often, rough at this clarity level is used for industrial purposes. It is faceted only if the current market demands it. Both gemstone quality diamonds and industrial diamonds are the same from a chemical/molecular standpoint; triple bonded carbon atoms. Out of the entire production of each diamond mine, from that particular mine, industrial diamonds will represent 80–90% of the total production. Industrial diamonds are basically very, very, very, very low quality diamonds full of impurities.As a general rule, these will be so heavily included that they can not be cut without breaking so these diamonds are sold to the abrasives industry to become sandpaper, drill bits, and other similar items. The remaining diamonds are considered gemstone quality, meaning they can be cut and polished into diamonds used in jewelry. The low end of the scale being I3 can be pretty bad looking to the point that a polished diamond may not be recognizable as a diamond. if you saw it on the ground, you wouldn't slow down to look at it. Industrial diamonds look worse than that. GIA Diamond Clarity Characteristics Diagram. A laser drilled holes are permanent in their nature and will thus be graded by GIA. If, however, the drill hole on the surface can not be made out easily, instead of the “Laser Drill Hole” mark you will find in the comments section note “Internal laser drilling is present”. Any laser drilling of the diamond is irreversible, thus must be disclosed by the seller, as a laser drilling severely affects the price of the diamond. A crystal inclusions can come in various shapes and colors. 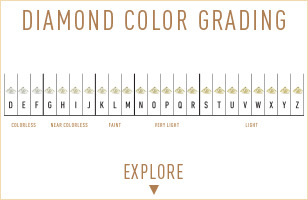 Colors variations depend on the specific mineral that is trapped within the diamond. White crystal inclusions are usually a tiny diamond crystal trapped inside of the diamond. If they are not too big, the white crystals will not be visible to the naked eye. Other notable crystal colors would be: black - Carbon or Graphite; red - Garnets; and very rarely green - bits of Peridot entrapped in the Diamond. Crystal inclusions, in an eye clean diamonds, are usually too small to pose a serious durability risk to the diamond. Extreme pressure applied to the diamond as it is forming causes the crystals to appear as a long, thin needle shape rather than the more common circular shape. Needles are crystals that look like tiny rods at 10X. Often very small, white or transparent in color, needles are not usually visible to the naked eye, unless they are of a distinctive color. If needles appear in clusters, they might have a detrimental effect on the diamond’s clarity and pricing. Pinpoints are very small white or black crystals that look like a tiny dot at 10X. are embedded inside a diamond. Individual pinpoint inclusions do not usually affect diamond clarity. However, when three or more pinpoints are in a concentrated area, they form a cloud. Clouds may affect a diamond's clarity, depending on the number and color of the pinpoints in the cloud. A cloud inclusion is a broad term used to characterize a cluster of pinpoints/crystals, white black or transparent, found very close to each other. In essence, those are many tightly grouped pinpoints that might be too small to distinguish individually however, they look like a white or gray patch in the diamond. Clouds can give the diamond a hazy appearance and negatively affect how the light travels through the diamond. A series of pinpoints, clouds, or crystals that form in a diamond’s growth place, which may be light or dark in color. Essentially that's an intergrowth within the diamond, which has twisted together within a twinning plane. At high magnification, twinning wisps often look like white or black stripes or streaking within the diamond. Twinning wisps are not necessarily "bad inclusions", but they need to be carefully evaluated to determine whether they affect visual performance of the diamond in question. A knot is an included white or transparent diamond crystal, more like a smaller diamond within the larger diamond, with their own growth patterns that may not follow that of the actual diamond. A diamond knot occurs significantly less often than other more common inclusions like pinpoints, needles or feathers. Nevertheless, the presence of a knot can be much more problematic. Knots, which appear close to the diamond surface can extend all the way to the surface after fashioning, thus affecting severely the quality of the diamond. Feather is a general trade term for a break in a gemstone. Depending on the viewing angle they are often white and feathery in appearance. Feathers can be transparent and almost invisible, but nevertheless, they are small cracks or fractures within the diamond. Severe feathers can cause durability issues, especially if they are reaching toward the surface or are located near the girdle area. A shallow opening caused by damage to the diamond’s surface that typically occurs at a girdle edge, facet junction, or culet. This inclusion type is typically man-made in the sense that it is caused by wear and tear or accidental knocks. Cavities are usually created during the polishing process when an internal inclusion like a crystal falls out of its pocket. In essence, an angular opening created when part of a feather breaks away or when a surface-reaching crystal drops out or is forced out during polishing. This usually takes the form of a large or deep opening/dimple on the diamond’s surface. Diamonds subjected to a blow or a hard knock as they are forming are likely to get bruised. A "bruise" is a tiny area of impact accompanied by very small, root-link feathers; typically bruises occur at a facet junction. Bruises can be any size and can occur in any place on the surface of the diamond, although they are often found in the diamond crown. A portion of the rough diamond’s original surface, a “flaw” which dips below the polished diamond’s surface. An indented natural is a part of the rough diamond, that the cutter is forced to leave untouched during the polishing process and is usually found at the girdle. An indented natural is only considered "an inclusion" because it does extend below the surface of the finished diamond. These refer to parts of the original surface of the diamond, which has been left alone and unpolished. Naturals are usually left on or near the girdle of the diamond. While these are considered blemishes, the presence of naturals is a sign of good cutting practice, where the cutter has managed to retain as much of the original weight as possible. In positions near or at the girdle, the natural is not visible even under 10X. Naturals can be removed if the cutter polishes out the area more roughly. However, this would result in a drop of the diamond's weight by up to 25%. That is a "man-added flaws” made on a diamond. These are not "mistakes". Believe it or not, mistakes rarely occur during the process of diamond cutting. These are deliberately cut to remove imperfections at/or close to the very surface of the diamond. At times these extra facets are also cut purposely to enhance the brilliance of the diamond. Extra facets are usually added to specific locations, by design and intentional purpose and do not necessarily affect the clarity grade of a diamond.